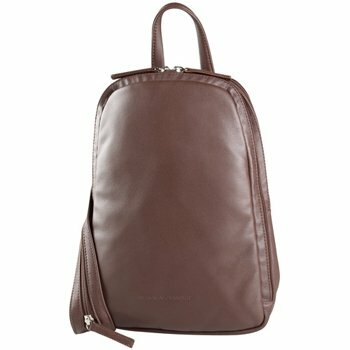 This soft leather backpack is perfect for a trip across the world or down the street. 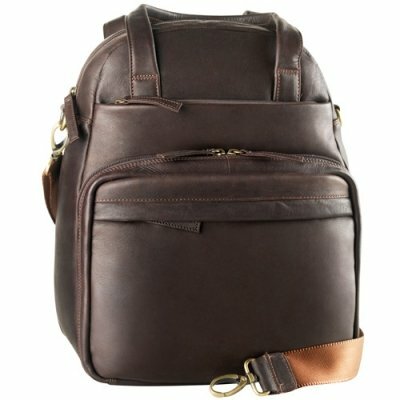 This leather back pack features two compartments; the first compartment secured with a wraparound zipper is gusted and includes two deep sleeve pockets, a back wall zippered pocket, a cell phone pocket, a pen sleeve, and two sleeve pockets. 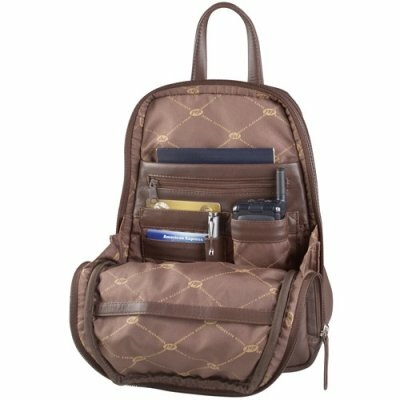 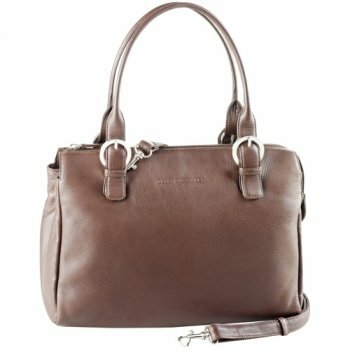 The second compartment is very spacious; great for storing lots of items and also includes a back wall zippered pocket and a removable key ring. 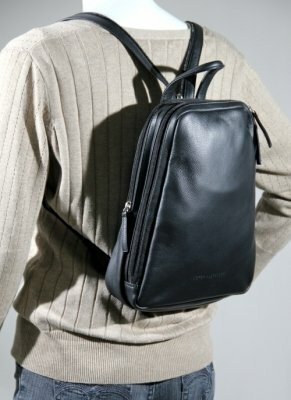 On the rear exterior there is a vertical zippered pocket for additional storage. 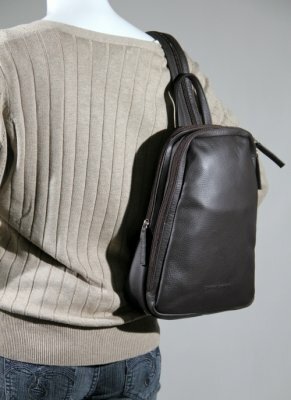 The straps are adjustable for a comfortable fit on the shoulders.